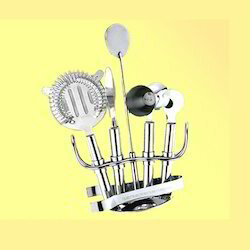 We are secured into giving Stainless Steel Bar Set to our Clients. These have a calming look, engineer and are makes of worth material to make it last more other than open in unmistakable sizes. These are on a very basic level asked for in the business range from our clients in a general sense as a quality's outcome. 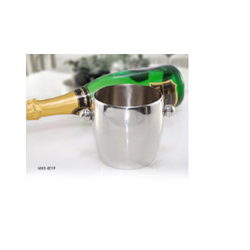 The Product which we offer is to give party a specialist look. Manufactured with premium quality raw materials, we render a huge range of product line namely Peg Measure. These Peg Measures are highly preferred for features which incorporates fine finish, accuracy, smooth look, reliable to name a few. The raw material for the entire product line sourced from recognized vendor.